A space freighter is in danger and it's up to you to protect it. 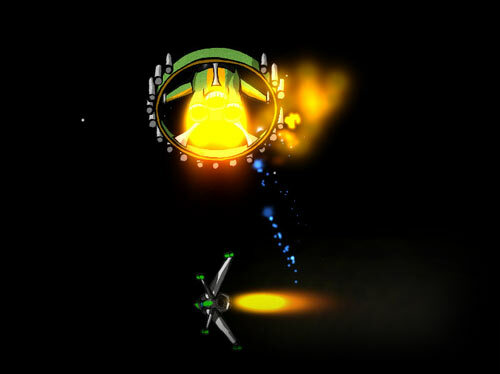 Blast through asteroid fields, while opening wormholes to let your fellow pilots through. Be careful, though; sometimes unfriendly pilots can sneak through these wormholes instead. Navigate through hyperspace towards your final encounter with the Dragoon Bomber.